A year ago, if you'd told somebody that arguably the most popular X-man movie of all time, and (to many) a contender for the best of all Marvel movies, would only actually have two X-men in it–two older X-men way past their prime to boot–you would probably find yourself on the working end of some skepticism. No Magneto? No multi-mutant fight at the end? No Apocalypse or sentinels chewing through two or three mutants every time they are on scene to prove the stakes are really, really high? Pfffffffft. And if you said that a number of critics would hail it as the best superhero movie of the decade, perhaps ever, you would likely have to deal with a bit of laughter as well. (The snickering kind–not the good belly laughs you hear before someone asks if they can buy you a mug of the finest ale this side of The Dragon's Thirst Inn in Valacia.) Going up against The Dark Knight or The Avengers, as well as older titles like Raimi's Spiderman 2 or even something a bit genre-bending like The Incredibles is not something genre fans would think could be done casually by two aged-out X-men. After all, the formula for superhero movies has been ramping steadily upwards to bigger and better fights with more and more superheroes on screen at a time, higher stakes battles, more CGI than you can physiologically process, and often the fate of the very timeline hanging in the balance. Yet there's something undeniable about these movies as they become bigger and bigger special effects extravaganzas with more and more and more superpowered characters stacked in like cordwood. (And it's not just that I stopped considering them to be on my "Must See" list after X3.) Their interest to their audience doesn't grow exponentially. The epic-fury of their battles don't make the movie "good" or "bad." Even when a story does focus on a small cadre of characters, the external plot instead of characters can make blockbusters eminently forgettable–and writers don't have the benefit of soundtracks, huge stars, or special effects budgets. The conversations about these movies still end up being about the same thing: the characters. 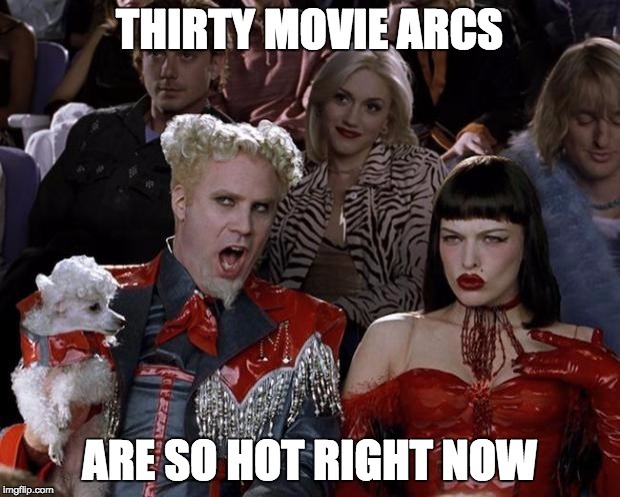 Were they interesting? Were they believable? What did they want? What were the stakes? Did the internal conflict matter in a way that made the story more interesting or did they just ho-hum stop the city from being nuked (again). Though film gross is based on a lot of factors, and some of these movies still do well in today's market, the more critically acclaimed and beloved by fans a/the film, the more its characters are interesting and not necessarily its battles eye-popping. A lot of writers describe the epicosity of their climactic battle. ("It's this HUGE battle between three massive armies....") There's something in the success of Logan, and films like it, for writers to learn about what makes a character arc genuinely compelling and what stakes will drive the highest levels of tension. After all, while a writer has an effectively infinite "special effects budget" and seamless "CGI" for as long as they want to commit pages and pages to such descriptions, writers run the same risk that any summer blockbuster might of getting so caught up in the tools of telling a story that we forget the story itself. And as cool as that end battle is, if readers are not invested in the characters, it'll be forgettable–no matter the magnitude or scope, it'll be forgettable. While I have my doubts that Logan is going to "redefine the whole genre," given the current Marvel plan for a thirty-movie ramp up to a sixty-character crossover two-movie battle royale, with each movie making more than the GDP of some European countries, its runaway success and spectacular critical reception is a cautionary tale to writers who forget that what readers are really interested in is the characters, and a reminder to us all that they're the engines of any story we have. Look at how well these characters arcs played out. Within just a minute we've established Logan's wants and needs, and that they are constantly struggling within him. He wants to get out, go away, take a boat away from everything. He wants to die. And he wants to not love things in his world so that he can let go. But he does love things. He is fettered by his concern for the things in this world. And though at one point it seems clear that, had his body not betrayed him, he would have abandoned Laura at Xavier's grave, in the end he keeps stepping up to the plate again and again for those fetters. And in the end, they are what set him free. Not just a physical release, but his own redemption as a character. Charles Xavier: I always know who you are, I just sometimes don't recognize you. So much is said in this exchange. Not just about the devastating tragedy of neurodegenerative diseases and how they take away one's ability to recognize loved ones, but also on a subtextual level to establish a meaningful lens into Logan as a character. He is "unrecognizable," which might be the same thing any fan of classic Wolverine might say at the outset of this film. This exchange also establishes a bickering relationship that is the source of so much fun (and often well-needed levity) in the film. Logan never says he loves Xavier. But even though he wants Xavier to die (so that he can kill himself), he still spends all his time and energy trying to protect Xavier from those chasing him as well as protect him from the abject horror of remembering that it is Xavier who has killed all the other X-men. Logan even indulges Xavier's quest to find a "utopia" that he (Logan) believes isn't even real. Xavier never says he loves Logan either. But he spends all his time and energy trying to give Logan's life the tiniest spark of redemption and connect him with his daughter. Their actions belie their constant fighting. Actually the movie is really great in general about not spoon-feeding the audience. They never came out and said that the mutant gene had been suppressed through corn syrup, but there's some evidence there if you pay attention. Trust your readers to be smart enough to get some things, especially about character relationships, without your help. You don't have to give them everything on a silver platter. One of their best successes is finding the way symbolism fits into the story rather than shoehorning a story into symbolism. X-24 is how Logan sees his younger self–mindless, savage destructive rage. It is his past come back to haunt him....in this case literally. And that rage kills Xavier. Wherever Logan goes, that violence follows him and destroys the innocent bystanders around him (as he did the Munsons). In the end, Logan does not have the strength to defeat his past alone. He needs the help of his daughter. The entire movie is a parable for getting old, dying and death (as well as the loneliness that accompanies these), how the past comes back to haunt us all, but at the same time about family, redemption, and the sacrifices of a parent. The guy who found walking excruciating was able to engage in mortal combat to the last once he had a reason. In the end, there is even a poignant metaphor, as the torch of all this power is passed to a wildly diverse group of children from two white men who have spent the movie protecting it from the hands of another group of white men who wanted to control it and keep it to themselves. But none of this symbolism came at the expense of telling a fun story about bad guys who wanted to kidnap kids and good guys who would put claws through their brain pans. They teased the symbolism out of a compelling romp rather than try to wrap a story around a bunch of symbolism. And that makes all the difference in how poignant a narrative can be. And perhaps more importantly, the external plot was almost insultingly simple: "Mutant-creating bad guys want to get back a mutant they created who escaped." Everything beyond that was developed through character, whether it was Logan's reluctant willingness to indulge Xavier's fantasy of Mutopia or Xavier's want of some creature comforts that ended up placing the Munsons in grave danger. What drove Logan, through all its tragedy, angst, and eventual redemption, was not a railroaded plot about stopping the end of the world but rather the characters. And he died with his heart in his hand. Logan wasn't a perfect movie. It had pacing issues in the third reel, especially when Logan kept passing out as the characters advanced through the various plot points. The serum that made him Wolverine-y was kind of an awkward "Ha I'm badass again! Nope, just kidding!" plot point, and the grunting, limping, how-pathetic-am-I? portrayal was at times overdone. The "Chekhov's Gun" of the adamantium bullet being what would kill X-24 was stone-cold-obvious about 90 minutes and change before it happened. The use of Shane was an excellent parable, and a fantastic choice for meta-media, but arguably was also a little heavy-handed. A whole other article could be written about Logan and the "white savior" trope, and it never even gets particularly close to passing the Bechdel test. 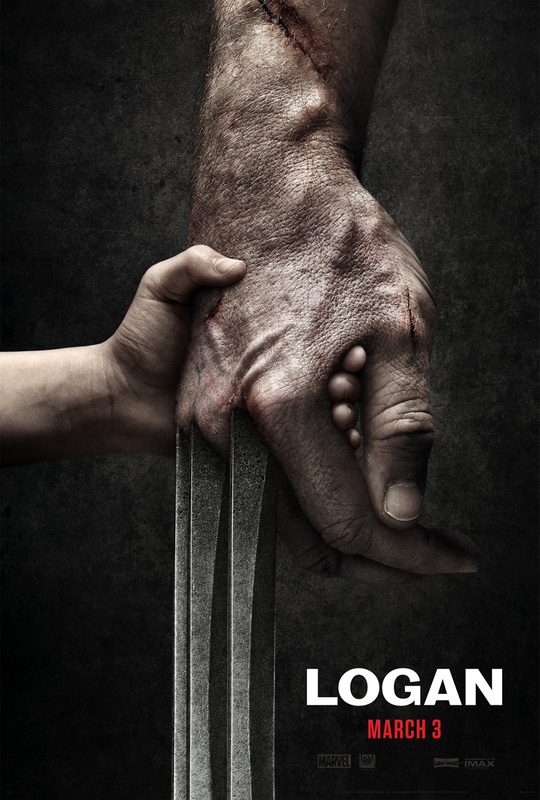 Overall though, Logan was an intensely character-driven ride about the human condition that blew audiences away and brought the X-men arc that Patrick Stewart and Hugh Jackman began 17 years ago to a bittersweet and nostalgic, but satisfyingly crunchy end. Logan's success, measured against a tiny handful of the best movies of the genre ever, carries with it a lot of lessons for writers. Characters are vital...more important even than a big exciting external plot. A couple of well-thought-out characters inexorably drawn towards a climax of high personal stakes in a tight, contained story-within-a-story about how excruciating death without meaning can be, is far, far better storytelling than a railroaded, save-the-universe plot with epic battles and dozens of mutant powers on incredible CGI display. It's interesting that "A couple of well thought out characters inexorably drawn towards a climax of high personal stakes in a tight, contained story" is also a fair description of Deadpool -- which is either the highest-grossing of all the X-films, or the second after this one (I haven't seen the numbers compared). They're very different in tone and in the kind of characters at the center, but they do have that in common. One hopes that writers and producers will take notice.